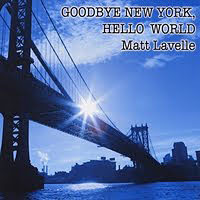 Matt Lavelle is one of the bright lights in today's avant-garde jazz scene, his trumpet and bass clarinet exploding with passionate spirit and unwavering intent. His newest CD, Trumpet Rising Bass Clarinet Moon , was recorded at the esteemed Music Now! series, a roving festival that's a must for anyone interested in where jazz is heading. 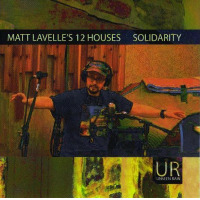 The CD's four cuts serve as documentation of Lavelle's work from 1990 to 2000, providing a satisfying summation of Lavelle's inner and outer journey. "Lavelleism" is the most straight-ahead song, testifying to Lavelle's grounding in tradition. Yet the song is informed by a free sensibility and the seams shift and sway with a pulsing vibrancy. Part of what makes Lavelle's sound unique is his use of microtones, which gives his tone a resonant depth and funky looseness. "Summer Snow" is a meditative piece that contemplates a snowstorm in New York in August; Lavelle's trumpet is rich and sonorous, lyrical with a barely contained wildness. "Flashback" is a short blues where the first-rate bandAtiba Kwabena on djembe, flute and percussion; Francois Grillot on bass; Anders Nilsson on guitar; and Federico Ughi on drumscooks to the boiling point. 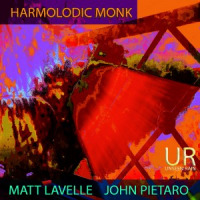 The gem is the 18-minute piece "The Hierophant," Lavelle's exploration of John Coltrane as well as his own spiritual journey. Lavelle plays bass clarinet on the piece and lets loose with urgent cries that hit the listener in the marrow. This is music from the depths, intensely personal with no holds barred. The song illustrates what a strong player Lavelle is, not only in terms of his formidable chops but also his uncompromising honesty. It's a rare combination and part of what makes Lavelle so exciting to hear in person: he holds nothing in reserve for next time, allowing full expression to the music and its imperative. Trumpet Rising Bass Clarinet Moon is an excellent replica of Lavelle live and will surely inspire the listener to experience his gifts in person. Track Listing: 1. Lavellism; 2. The Hierophant; 3. Summer Snow; 4. Flashback. 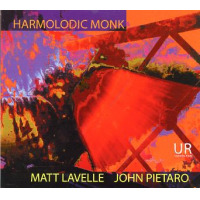 Personnel: Matt Lavelle--trumpet, bass-clarinet; Atiba N. Kwabena--djembe, flute, percussion; Francois Grillot--bass; Anders Neilson--guitar; Federico Ughi--drums.